I go through various waves of obsessions depending on what my holy grail of the moment happens to be. When I'm fixated on something, it's all I can talk about until it passes. Remember the ankle wrap sandals? Sweatshirts? Yeah...... you know what I mean. You see, I really REALLY like natural scented candles. The thing is they're expensive. Like very expensive. I always have this vision of paper money being burned, one at a time whenever I light up my Diptyque candle. The other thing is I'm asthmatic and don't often take too well to most fragrances. Spicy notes have a way of inducing a headache that will last for days. I can sniff paraffin and chemicals in a candle from 10 paces away and they'll bring on an asthma attack too. Not good. Diptyque candles contain a teeny bit of paraffin but so far, I've been fine. I've been contemplating about making my own especially after seeing this step by step tutorial. At least I won't have to worry about buying votive glass jars after I've burned all my candles. Just so you know, it's practically an art form to burn your candle perfectly every single time. A friend of mine set up her own business last year and she is now selling her own range (made in France) of soy-based candles scented by natural essential oils and they are just lovely! Thanks for the link, Linda. I find myself nodding my head in agreement when I pored through the article. I've had serious asthma attacks just walking into stores that were burning crap candles. Surprisingly enough, the one from Ralph Lauren was the worst culprit. I'm so vigilant about buying candles now. I often get the store to explain EVERYTHING, including the ingredients. 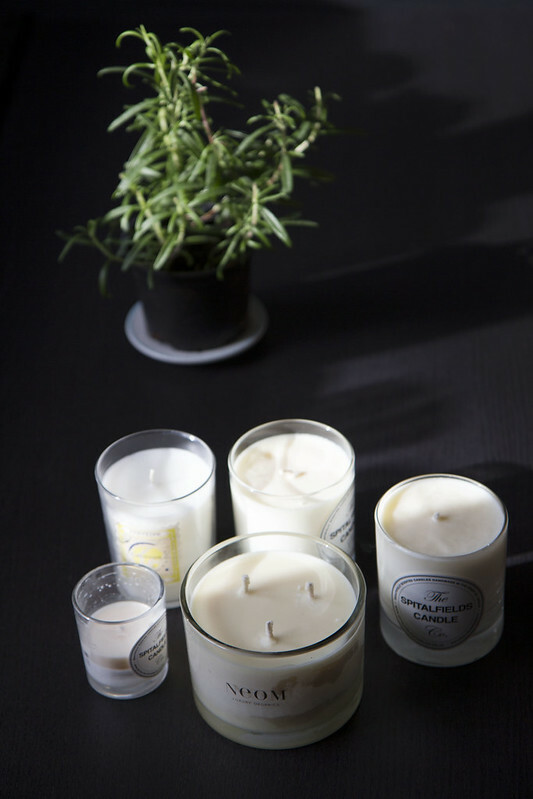 I was surprised when the ladies at Diptyque told me that adding a bit of paraffin makes the candles burn better. Thankfully, I haven't had a reaction. I'd love to buy one of those Diptyque candles but the price has always put me off, hoping this is the year I go for it though! As for the move - I think Sydney will have a lot more opportunities for me, in addition to better weather (and can I say better shopping? kind of?!). I'm heading over without a job but that seems to make it more exciting rather than less. Have you ever thought of moving elsewhere from the UK? I know Diptyque candles are supposed to be known as the holy grail but I've used other natural candles from Geodesis, Durance, Spitalfields etc and they're equally good. When we arrived in the UK along with 5 other couples from NZ, most were convinced that they'd move back within 3 years. 5 years later, we're all still here. For my husband and I, it was a commitment. We didn't think we can truly live and explore Europe in 3 short years. Besides, we were the only ones with a child at that stage so moving around wasn't an option. I love New Zealand but after living a short distance from London, I can see why the country can be very limiting especially if you're ambitious and wanting to explore more opportunities. I'm not sure if we can live again in NZ but the only pull is the family and friends. So hard to find (relatively) inexpensive natural beautiful smelling candles. And yes, I ration my Diptyque candles! Z, there are quite a few reputable brands out there that sell natural scented candles for quite a reasonable price. Do check out Geodesis and Durance. The latter can be purchased for £13 or thereabouts. Feeling the need for a new one now.... I love the Lavender and Petitgrain from Toast . For me it's important that my candle is soya wax , as the other 'bad' sort burn with release of nasty compounds which could be a health hazard. Thanks for the link , I have learnt how to burn properly at last .. though trimming a wick sounds a bit techno. My passions wax and wane too ! My Hermes passion has been sated for now with the Evelyn which I adore. Now I'm passionate about growing hyacinths in water , a bit of a change , no ? Love collecting those beautiful Victorian glass hyacinth vases . I read the tips and thought, golly, burning a candle sounds like an art form! If it weren't for my huge camera, I would've gladly kept my Evelyne. It was the one bag, other than my Kelly that got the most wear. It held up during blizzard (yes, I know. Crazy, huh? ), torrential downpour, travel etc. I only wiped it every now and then. After 4 years of relatively heavy use, it looked near new. I was amazed. Thanks for enlightening me to candle tunneling. Never knew that there was such a thing! Like you, I can't help but think I'm burning money, so I rarely purchase candles and usually only if it's on sale. Cheapskate, I know. I wrote a post on fixing candles and was hoping you would link to it in this post. I think your readers would benefit from it a lot seeing as they are also candle lovers. Besides, who wants to have to throw away a candle they just spent 25 on, right? Thanks for checking it out. Thanks a lot for sharing such a nice writing on candle tunneling. But you know- finding pure natural scented candles is really tough. Do you know any high quality luxurious scented candles store for my personal use? hi there, the only company that I personally know of that produces high quality 100% organic and natural candles is Neom Organics. I've been using them for years.